by Admin.In Accessories, Counters, Ebay, Miscellaneous, Principals, Transport. • Replace your bloated inventory with just one standard unit to handle all of your machine sizes. Simply program in the number of revolutions per acre/hectare. • Digital electronic circuitry allows rapid and easy configuration anywhere, without need for a specialized programming instrument. You can count on its single, standard model for a perfect match to virtually any machine. easy, reliable and highly accurate data collection. • 5-Year Warranty – no acre/hectare limitation. well as tamperproof setup scheme. • Only one moving part for increased reliability. 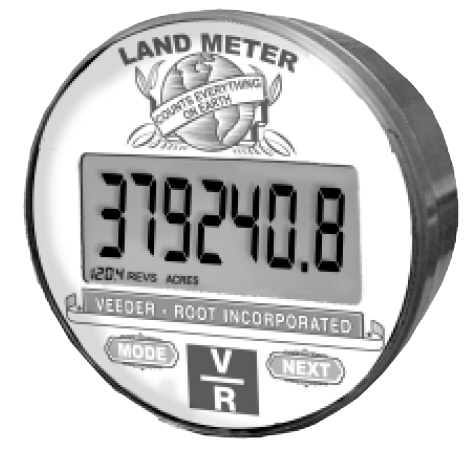 Programming: Simple procedure using only the tool included with the Landmeter. 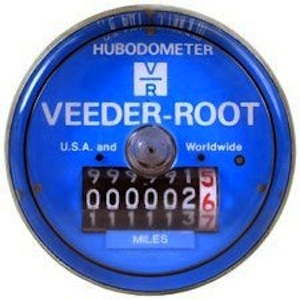 Hubodometers: Still available, the Original Model: 7777 Mechanical Hudodometer. Including the NEW Electronic Hubodometer: Model RT1000-000, ONE MODEL SUITS ALL TIRE SIZES EVER MADE!